During the hotel stay we could use the Subway cups multiple times for milk and coffee, but not so much once we moved out of the hotel. I’ve tried to compost them before and they don’t break down. So, we were left with a cup we couldn’t use again. 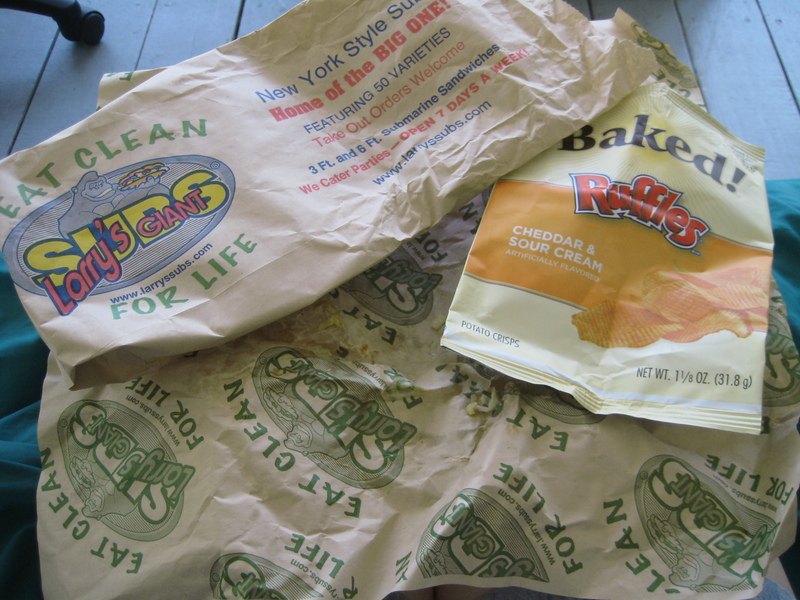 Subway = a chip bag that could be sent to Terracycle and a receipt which we shred and goes in the compost. Napkins I’ll keep since we don’t use paper towels and if I need to check the oil in my car or clean up something greasy while cooking, that’s what I’ll use. 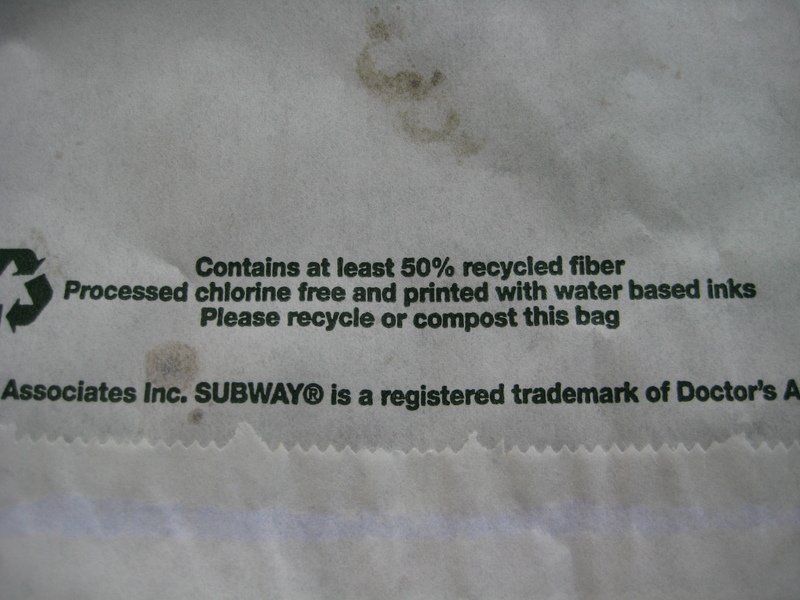 Subway also gets kudos for their cookie bag, which also goes in our compost. However, they automatically place your wrapped sandwich in plastic unless you remember to ask as soon as you get to the cash register that you don’t want one. 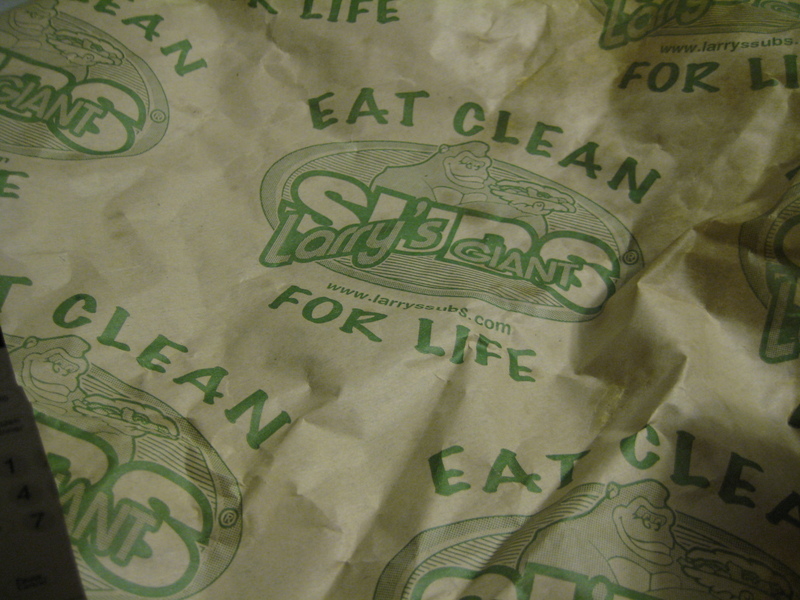 The sandwich wrapper also goes in our compost so, Subway–0 for the cup and 0 for the plastic. Everything else I can create zero waste. Everything could be composted, minus the chip bag. 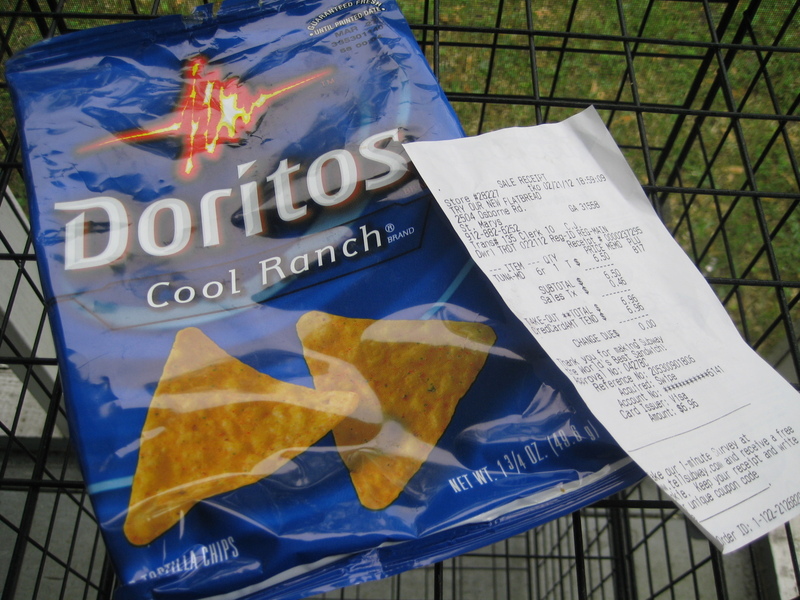 The chip bag could be sent to Terracycle. 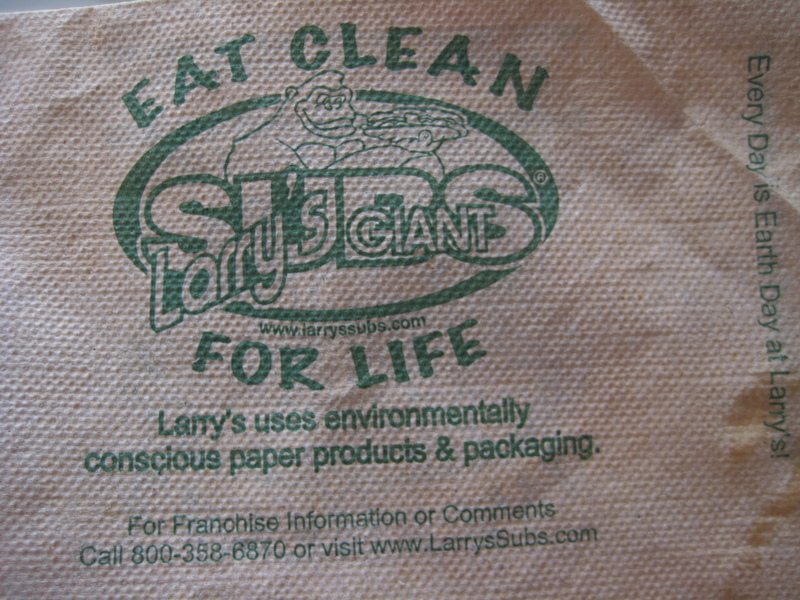 Larry’s sub wrapper can also be composted. Hmmm. 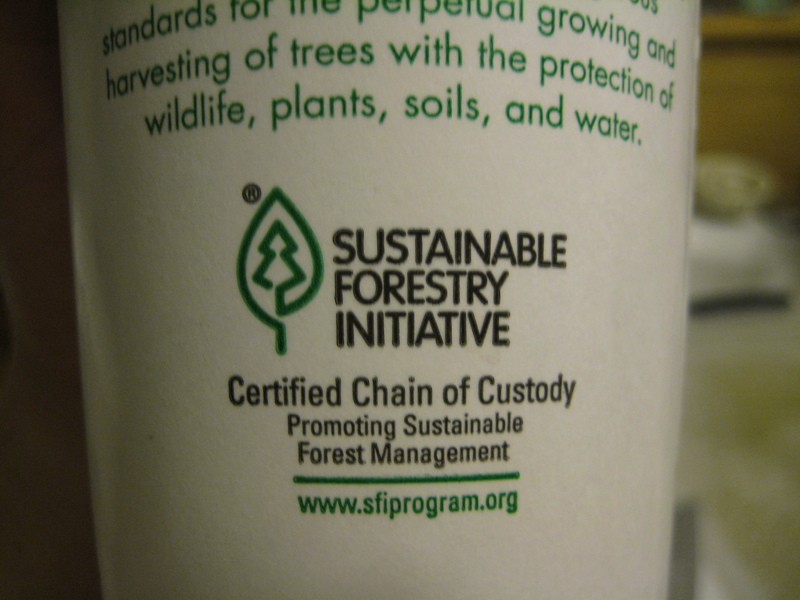 Looks like everything can be composted from Larry’s except the cup, which got points for the sustainable forestry initiative. AND it’s all unbleached so I don’t mind using this compost in my garden. Surprisingly Subway didn’t do as poorly as I thought, but Larry’s still wins. I would be more likely to eat at Larry’s simply because they are taking the initiative to make a difference with their packaging. AND their subs taste SO MUCH better. Do you have a sub shop you prefer? A restaurant you’ve noticed has taken the time to try to make an environmental difference? This entry was posted in Folks helping the environment, Food, Local food and tagged Compost, environmentally- friendly, green restaurant, Jersey Mike's subs, Larry's subs, military lifestyle, military spouse, Submarine sandwich, Subway, sustainable forestry initiative, zero waste. Bookmark the permalink. Here, it’s Subway or Subway. Being vegan doesn’t help much with dining out choices. I pack subs in my kids’ lunch kits for their twice-per-week “take out.” I fill them with the other stuff (chips, a sweetie, juice and water) and order 2 foot long veggies on wheat – no cheese. They cut ’em in half there, put in my container, and go straight into kits tone dropped at school. $10, no waste, and the containers are hand washed to be used again the next day. Remember, it was YOU who got me on board with carrying my own containers in!! Keep giving Larry’s your business. I believe the best thing we can do for vendors is support (reward) those doing the right thing with continued business, even if it costs a bit more. The cost of cheap food gets paid somewhere, and the environment is certainly an easy and silent scape goat. I am really impressed the level of attention you’ve given to this topic. It is great to see individuals like yourself analyze the waste waste generated by restaurant meals to help influence future dining options. 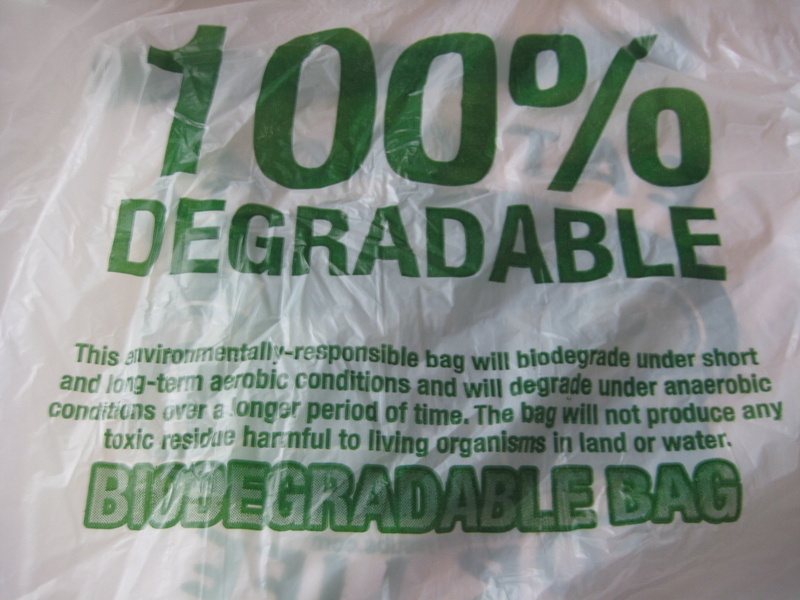 My one concern is the 100% degradable bag. Does it have the Biodegradable Products Institute logo on it? If not, it may just break down into smaller bits of plastic, which ultimately contaminates our soil. Sorry, as an Aussie, I have no idea, but it was interesting nonetheless. We have Subway here, and always plastic-bagged too 😦 I don’t really eat Subway, seems too healthy (someone will splutter their coffee reading that, cause that’s not really true – it tastes too healthy or something!) and I don’t eat bread as much as practical. Still, I’m impressed with Larry’s and their attempt to make things zero waste!